At the Western Wall, some will believe what God says explores a new conceptual approach to music composition wherein time structures are predetermined. 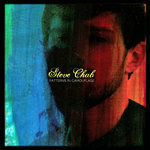 Steve Chab has reinterpreted the music of Nils Frahm by composing, preforming, and recording new instrumentation atop three of Frahm's recorded piano compositions. Throughout history, composers have borrowed themes from other composers. This technique dates back to the 17th century with Brahms' "Variations on a Theme by Haydn" and even further. Similar techniques such as remixing and sampling are prevalent in today's music. Almost all pop music includes recordings of preexisting material, whether sampled from another composition or purchased in a sample pack such as Native Instruments or Steinberg. 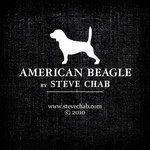 Instead of taking a snippet of a composition and remixing it, Steve Chab has composed new music atop entire recorded compositions. And instead of adding a missing instrument to a recording — like Bruce Springsteen "Born to Run" Glockenspiel Addendum by Cory Arcangel — Steve has treated Nils Frahm's recordings as incomplete compositions. 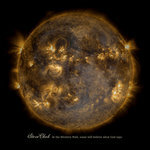 Original sun and moon photos courtesy of NASA.